1. That the idea of ‘food days’ is completely arbitrary. 2. That PROTEIN cheesecake doesn’t have a Day but needs one. So I created Protein Cheesecake Day to fall annually on the 13th of October (here’s evidence of its delcaration). October 13th is now a day for festive merrymaking and cheesecake feasting worldwide! Isn’t it exciting? We’re creating history here ;-)To celebrate its launch, I decided to run a protein cheesecake competition. Over THIRTY entries were submitted for it, from all over the world – i.a. Brazil, Sweden, Canada, Slovenia, Australia, Germany, Romania, the US, and UK. You can find them all below! Just click on each cheesecake to get to the recipe and share, ‘like’ and enjoy as many of them as you want. They’re all extremely different and absolutely amazing. THANK YOU TO EVERYONE WHO SUBMITTED A CHEESECAKE! 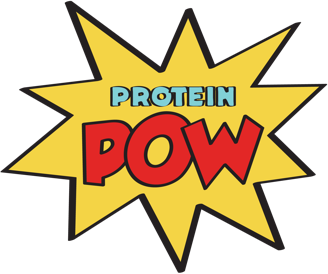 There are some bona fide PROTEIN WIZARDS amongst you. PS: This post is probably now eligible for an entry into the Guinness World Records – for ‘Biggest Protein Cheesecake Recipe Post Ever Uploaded on the Web.’ Maybe I should apply…? PPS: Apologies I seem to have missed Number 4!